Professional Dueling Piano Show entertainers available for any event. Our staff had given us mostly positive reviews, though a few felt that some of the content wasn't appropriate for a corporate event. Overall, great! Got back to me quickly after I submitted request for my project. Contacted me prior to project date to work out logistics. Showed up on time on project day. Worked with me to make sure we had the music ready to perform. Played absolutely every song we would want to hear. Was sincerely fun and the best. He’s got an audience for life! Thank -you , had a great time !!!! Great job by the dueling pianos! The Dueling Pianos were fun and professional. We were very happy! 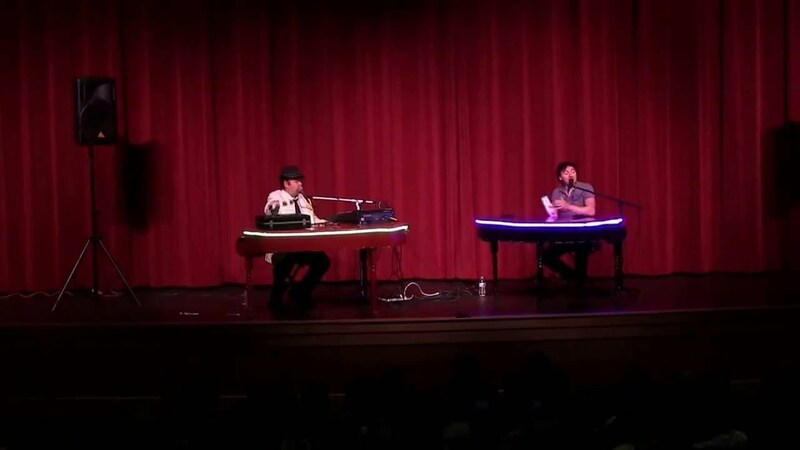 We had a great experience with New England Dueling Pianos! Besides putting on a terrific show for us, Bill was very professional. He responded to every inquiry promptly and went out of his way to meet our needs, not the least of which included traveling to an island venue! Even our wedding planner commented on how easy he was to work with. Most importantly, the bride and groom were totally delighted with their wedding music. The was the best night of my life. The Dueling Pianos were a surprise for my husband. They did the whole set up in secret. He had no idea. He had no clue until they took away the room divider and BOOM--there they were. All set to go and played a dedication for him. They played all through dinner. Our wedding guests have not stopped talking about this. The reviews keep coming in. One week after the wedding and all we keep hearing is "OH MY! Dueling Pianos!" the best of the best. Look no further. You found your entertainment right here. THIS MADE THE WEDDING! We love you! We are grateful for you! This was the best of the best! Wish I could do it all again and have you play more!! Simply the BEST! THANK YOU! We will send photos when we get the professional photos back. My wife and I wanted a unique experience for our wedding in June. Bill and his crew were incredible! Bill was very easy to work with and made the music/entertainment aspect of the wedding one less thing to worry about. The performance was incredible and left everyone with an experience that people will remember forever. Unfortunately we experienced some rain on our wedding day, which threw off our overall timeline. Bill and his team were very flexible. They realized we were a little stressed out with the rain and the schedule change, etc but they stuck with us longer than they were scheduled for and turned in an incredible performance. We can't thank Bill and NE Dueling Pianos enough. We would highly recommend to anyone interested for any type of event. We hosted a family party of over 100 people with a range of ages from 1 to 95. 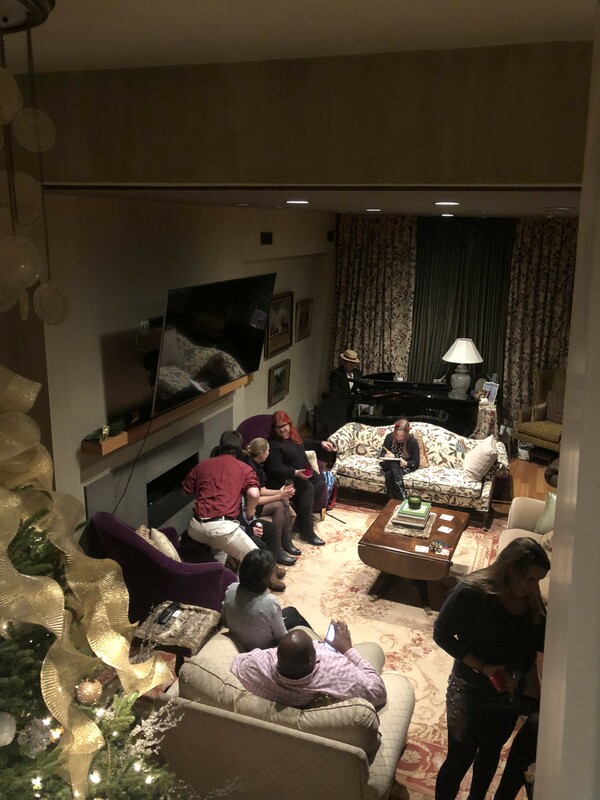 We were challenged to find musicians who would be able to provide entertainment appropriate for both the occasion and the folks attending the event. We decided on Dueling Pianos and they crafted a perfect evening of memorable music for all. Their ability to play virtually all types of music from the 50’s to today and focus on audience participation created a memorable and enjoyable evening for all. Bill and Davina did an incredible job at our party and we deeply appreciated their wonderful performance. Everyone had a great time and all were impressed with the range of your talents. Even our grand kids and other youngsters appreciated their brilliance. This was our third opportunity to see Dueling Pianos show (with five different performers) and each time we had a great time and the evening flew by. 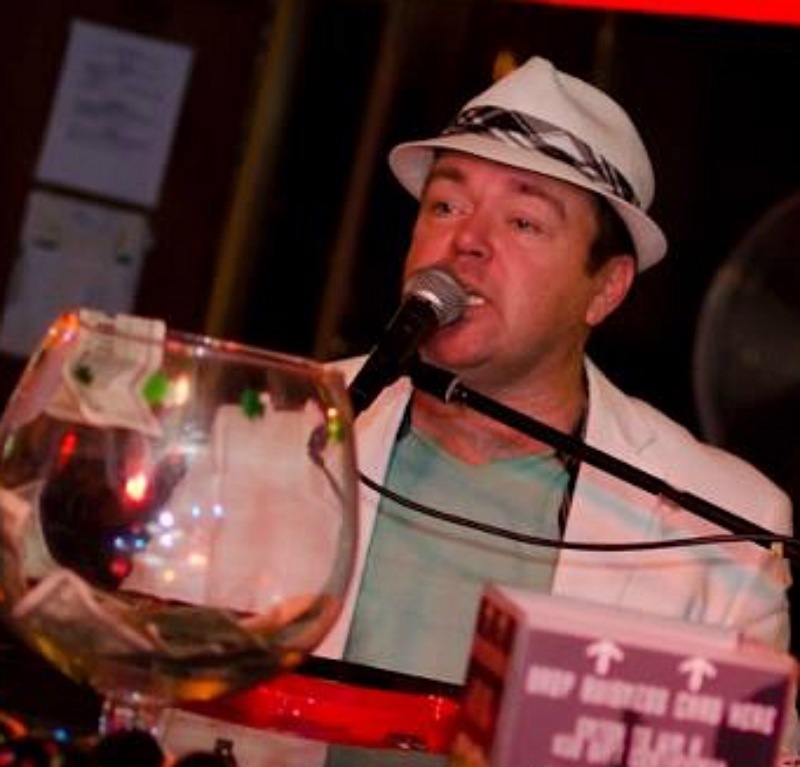 We are now even bigger fans of you guys and we are happy to recommend the Dueling Pianos team. My husband and I wanted some kind of unique entertainment for our wedding reception. We did a lot of research and decided to give our guests a more interactive experience so we thought that New England Dueling Pianos would be a perfect fit. From the initial email all the way through to the end of our reception, it was more than a pleasure to work with them. They are responsive and care about giving you and your guests the perfect experience. Before our big day, we gave them a sense of what type of music our crowd would like to hear and they chose the right talented artists to play at our reception. We opted for a fuller sound and added a guitarist and drummer to play along with the dueling pianists. Every single one of them was beyond talented and played a variety of music to please the parents and the youngsters. They kept the party going and crowd begging for more. 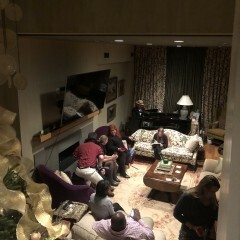 My father put in a request for a song that they weren't familiar with, but they were able to look up the words and notes on an i-Pad, and incorporated the song into the playlist without skipping a beat. It's the only song that my father danced to all night and for that, I'll be forever grateful. Our guests had an incredible time and keep talking about how much fun they had at our reception. Two of our guests loved them so much that they hired them for their own wedding. We could not be more pleased with our choice, they made our reception perfect. 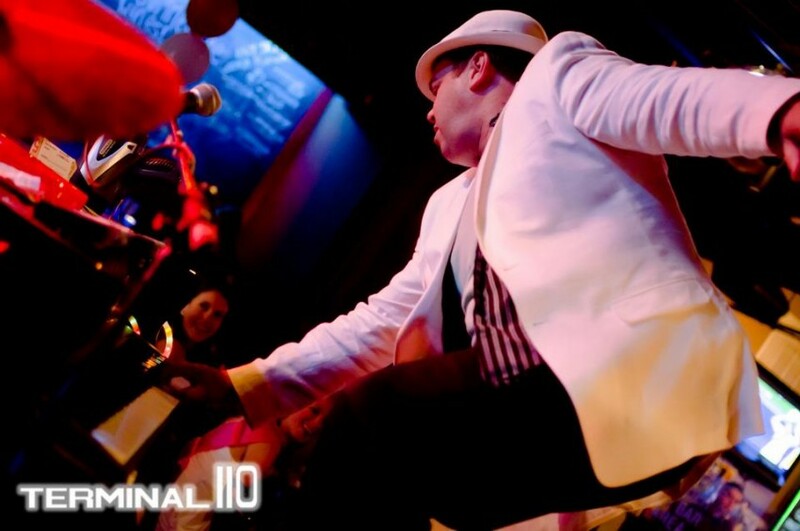 I would recommend New England Dueling Pianos to everyone who wants a unique, tailored and phenomenal entertainment experience for their event. Wondering just what kind of music gets played at a Honky Catz Dueling Piano show? Well... you name it!! These guys (and Gals can play it all, from the 40's to the 80's to today. Popular music, rock , rap, disco , and everything in between. It''s very difficult to stump these guys! That's what makes this show so unique ...it's YOUR songs, the ones YOU grew up, on the ones you and your friends know every single word to and just can't help but sing along! We provide a high quality dueling piano show which is high energy, spontaneous, interactive and guaranteed to turn any gathering into a exciting and memorable celebration ! Very different from the typical tuxedo wedding bands who play the exact same set at every event, New England Dueling Piano show is YOUR songs, your requests and all the tunes YOU grew up on. The ones you and your friends know every single word to and just can't help but sing along! No matter what age group! ...Two shiny black mini-baby grands and a small but powerful sound system will look beautiful at any event . Drums and other instruments can be added to create the right sound to suit your party. A drummer and a sax or a lead guitarist are the most popular choices. We bring all props including song-request cards and pencils for all your guests...our only requirement is an on-site power source! We never utilize tip jars or elicit tips at formal or other events such as Weddings (unless otherwise requested). We also offer smaller keyboards in place of mini baby grands at a reduced cost! Two shiny black mini-baby grands and a small but powerful sound system. Drums and other instruments can be added to create the right sound to suit your party. A drummer and a sax or a lead guitarist are the most popular choices. We bring all props including song-request cards and pencils for all your guests...our only requirement is an on-site power source! We never utilize tip jars or elicit tips at formal or other events such as Weddings (unless otherwise requested). We also offer smaller keyboards in place of mini baby grands at a reduced cost! Chicken Fried some Stevie Wonder etc….etc…….